Get out the violins, because you’re about to read and hear all these stories about how poor Tamerlan Tsarnaev’s troubles had to do with the repression of the Chechens, and the hard nomadic life ethnic Chechens were forced to endure in the shambolic collapse of the Soviet Union. Consider, instead, Lingzi Lu, the beautiful, loving Chinese woman killed in an explosion. She, too, emerged from the ruins of communism. She came from China’s rust belt, and when she got to America, she ran with it. She loved the different foods, the different cultures, the different people. Lingzi Lu came here and saw only opportunity. Tamerlan Tsarnaev came here and threw his away. Lingzi Lu nursed her friends at BU back to health when they were sick. 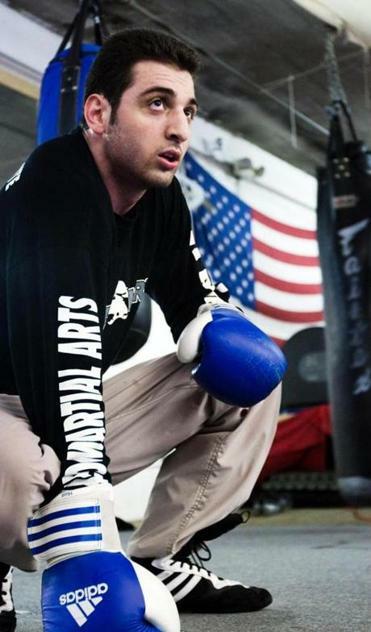 Tamerlan Tsarnaev nursed grudges, convinced we all owed him something. Living in a society that respects and encourages diversity, he retreated into a perverse, self-righteous, judgmental view of others who didn’t share his extremist views. And in his final act of selfish venality, he enlisted for his nihilistic denouement his own little brother, brainwashing a kid who by all accounts had made the sort of friendships and social connections that he couldn’t. Dzhokhar Tsarnaev, 19, had made something of himself. He was a captain of the wrestling team at Cambridge Rindge and Latin High School, where his friends recalled him as a class clown, a dutiful student, an ordinary kid who liked to smoke a bone once in a while. Presumably his marijuana smoking incurred the disapproval of his sanctimonious brother, who embraced an extreme form of Islam and railed against people who took a drink, or parents who exposed their kids to the paganistic trappings of Harry Potter. The authorities believe it was Tamerlan, the zealot, who pulled his little and presumably impressionable brother into his orbit of overweening grievance against the very country that gave the Tsarnaev brothers more opportunity than they ever would have had if they had stayed in the troubled, poor country where they were born, Kyrgyzstan, or the troubled, poor country where their ancestors came from, Chechnya. Kyrgyzstan is one of the poorest countries spawned by the breakup of the Soviet Union. Hundreds of thousands of its 5 million people bugged out of there in the years that followed the collapse of a system of government built on repression and corruption. It appears the Tsarnaev brothers, ethnic Chechens, began a nomadic trek that eventually brought them to Cambridge. Cambridge is probably the most tolerant patch in these United States. It is a sanctuary city for immigrants. The people of Cambridge, the city government of Cambridge, have created the most inclusive, generous community to outsiders I have ever encountered. People in Cambridge go out of their way to be nice to, and genuinely supportive of, people like the Tsarnaev brothers. I wouldn’t doubt that Tamerlan Tsarnaev encountered some jerks over the years. We all do. It’s called life. If Tamerlan Tsarnaev nursed murderous grudges because it was so hard to grow up and live in Cambridge, then he was indeed, as his uncle put it, a loser. The police officers who took 19-year-old Dzhokhar Tsarnaev into custody deserve our gratitude and maybe a medal. Maybe the kid will revert to the type of person his high school classmates remember, and he’ll do the right thing and tell all. Hopefully we won’t be submitted to the pathetic victimhood speeches tough guy Tamerlan would have delivered had he not received an unhealthy dose of bullets from police officers he was trying to kill. Now that the madness is over, there will be some who say we have to figure out why the Tsarnaevs became such angry young men. No one who lost his or her life or limbs on Boylston Street last Monday did anything to create angry young men like this. And I know that 8-year-old Martin Richard, a beautiful little boy from Dorchester who was killed by the Tsarnaev brothers’ bomb, never harmed a living thing. He was a kind little boy who was unfailingly nice to his classmate, the daughter of the Boston firefighter who knelt over his body on Patriots Day. Sean Collier, the 26-year-old MIT police officer who police say was shot to death Thursday night by the Tsarnaev brothers, worked as a civilian for the Somerville Police Department, but desperately wanted to be a cop. He was thrilled when he got the call to join the MIT force last year, and he only recently learned he had landed his dream job with the Somerville PD. I would bet my life that Sean Collier would have laid down his life for anybody, including immigrants from Kyrgyzstan or Chechnya. In the end, he did lay down his life, trying to protect others. I don’t want to listen to how innocent people bear some responsibility for creating the twisted minds of the Tsarnaev brothers. Let us first bury our dead, heal our wounded, tend to our damaged first responders. Then maybe I’ll listen to that “what did we do to make them hate us” claptrap. Then maybe I’ll go to some soul-searching debate about how our foreign policy is creating too many enemies and too few allies.